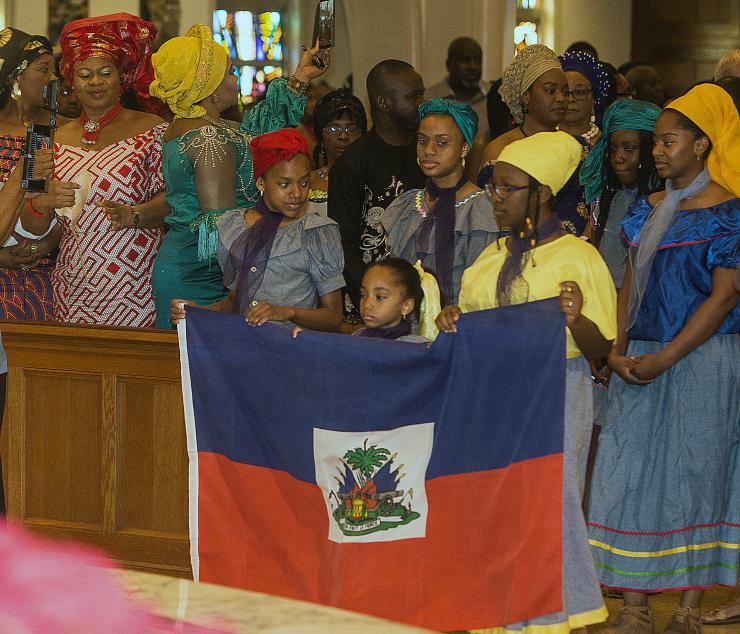 Veronica Jackson, 12, Victoria Harris, 6, and Tamara LaCroix, 12, carry the Haitian flag into St. Mary Cathedral. Members of the Polish American Apostolate present a gift to Archbishop Thomas Wenski. Vietnamese American Khoa Nguyen and Polish American Ewa Otfinowski hold hands during the Lord's Prayer. 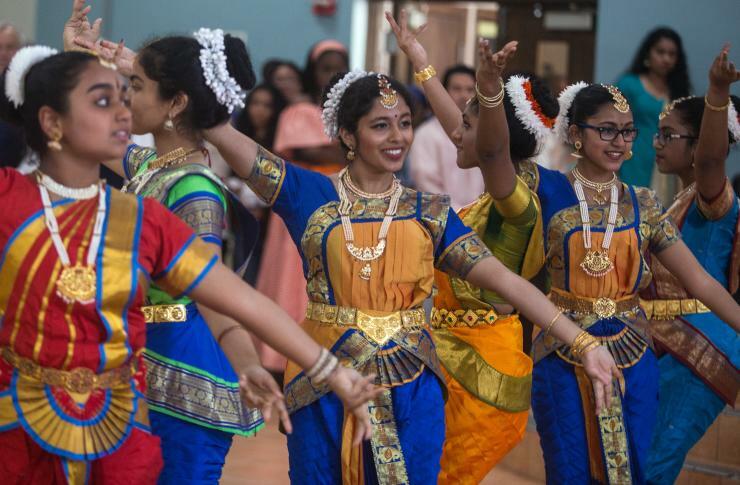 Members of an Indian American dance group perform during the reception that followed the annual Migration Mass. 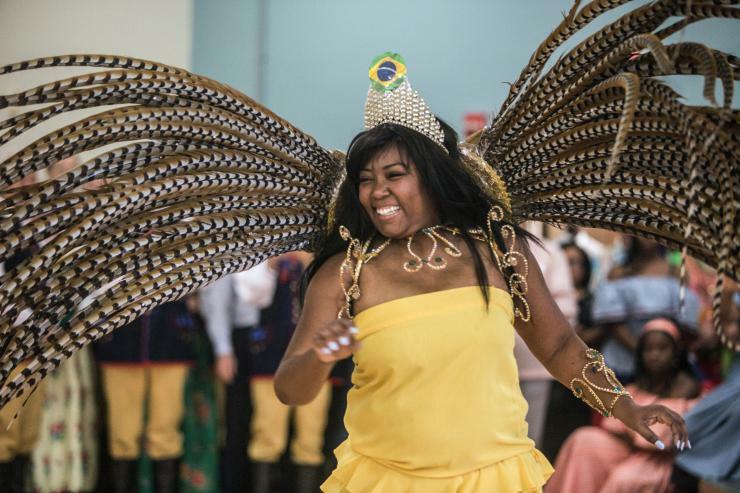 Elaine Sippl performs a Brazilian samba during the reception that followed the annual Migration Mass. 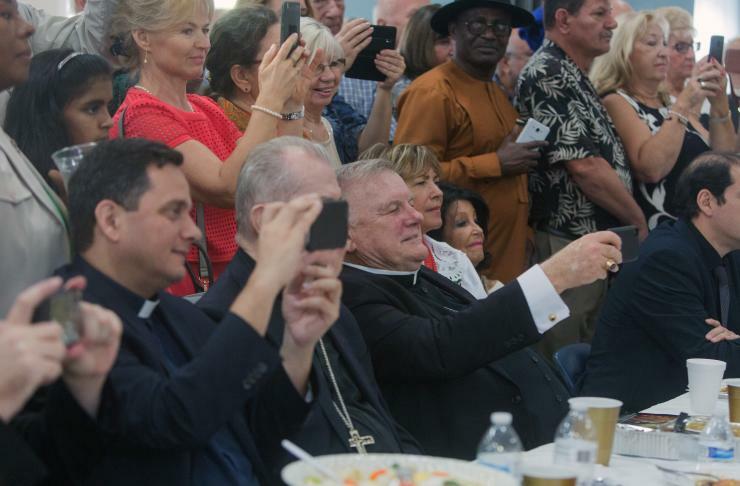 Archbishop Thomas Wenski and other priests take photos of the multicultural performers during the reception that followed the annual Migration Mass. 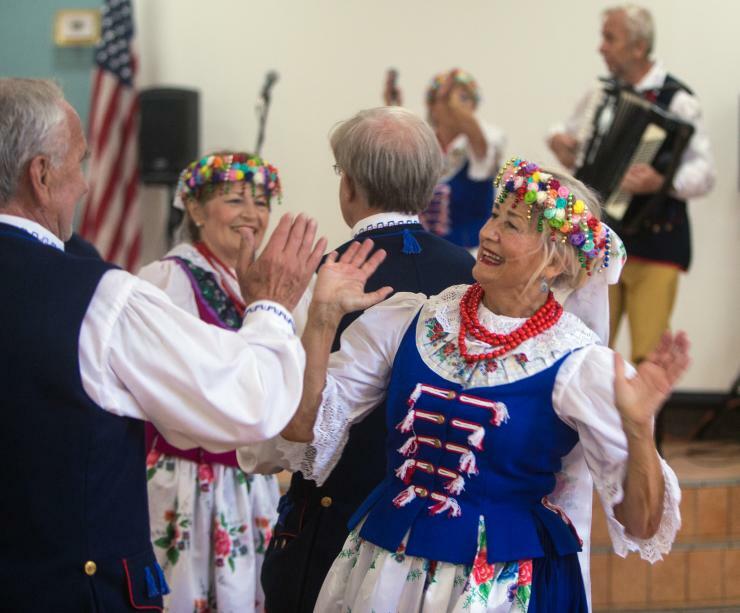 Polish American dancers perform during the reception that followed the annual Migration Mass. 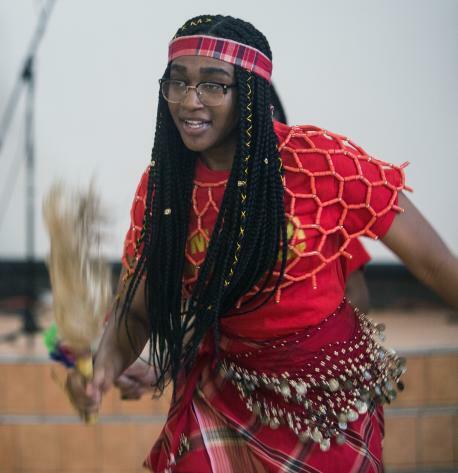 A member of Umuoma, an African dance group of Florida, performs during the reception that followed the annual Migration Mass. 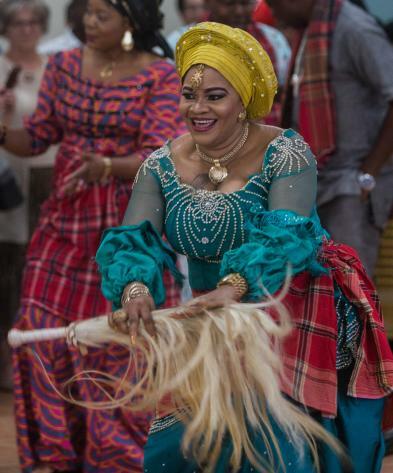 A member of Nigerian dance group performs during the reception that followed the annual Migration Mass. 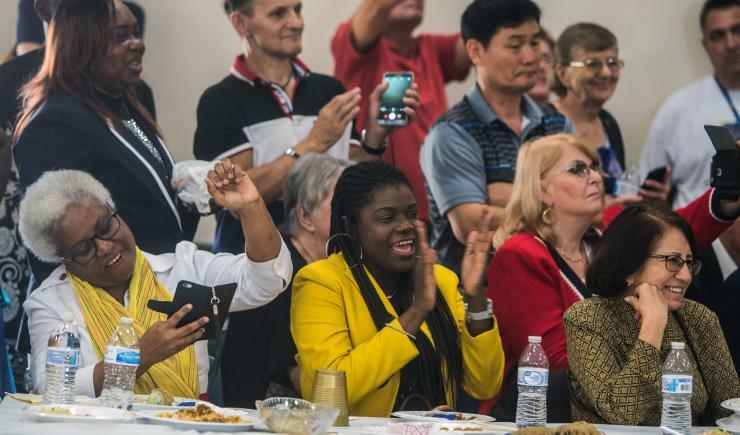 Audience members enjoy a performance by a Haitian dance group during the reception that followed the annual Migration Mass. 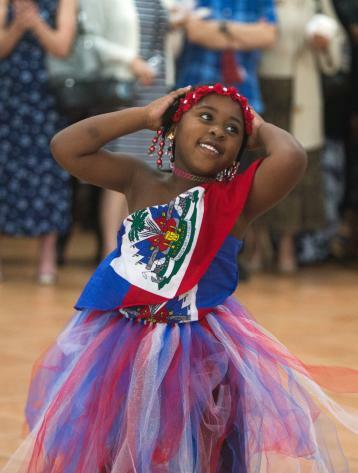 Neveah Jacques, 6, dances with the Haitian dance group during the reception that followed the annual Migration Mass. 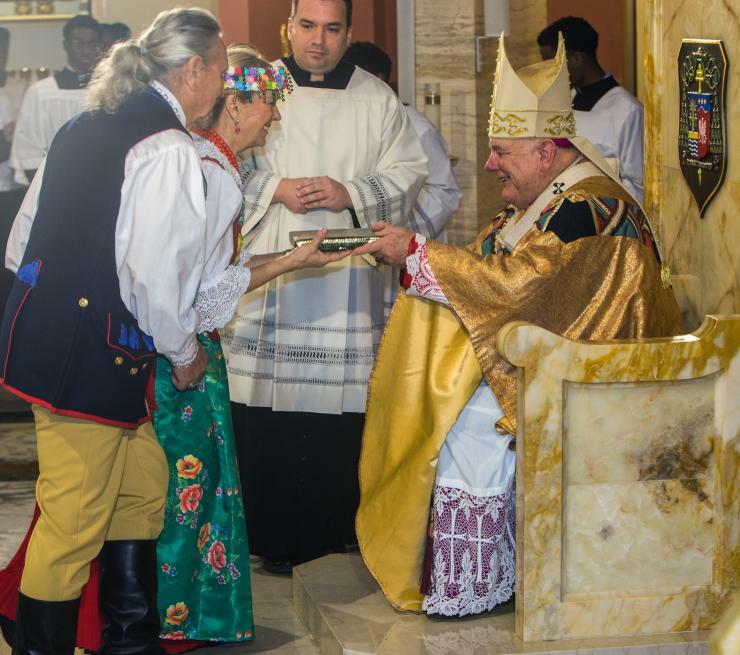 MIAMI | As part of National Migration Week (Jan. 6-12), Archbishop Thomas Wenski celebrated the annual Migration Mass, Jan. 13 at St. Mary Cathedral. This year's theme was Building Communities of Welcome. 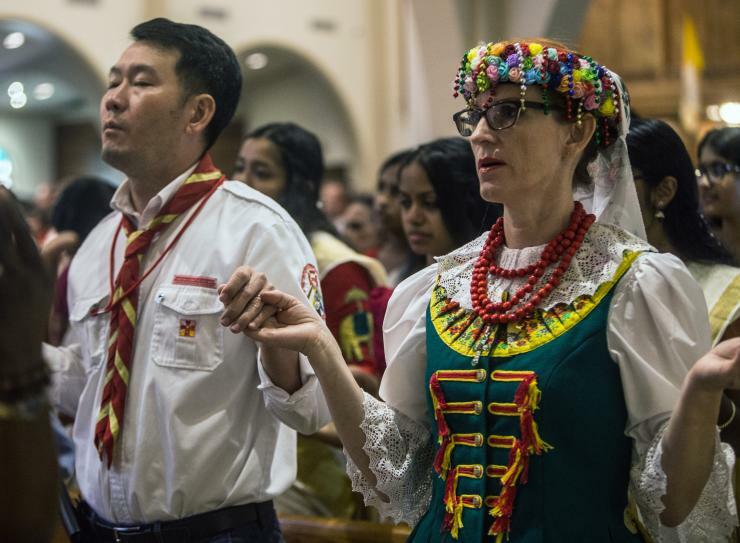 Members of many archdiocesan apostolates wore native costumes. Participants included, Filipinos, Vietnamese, Chinese, Poles, Haitians, Indians, Brazilians, Koreans, and Nigerians. Several groups performed native dances at a reception following the Mass. Read Archbishop Wenski's homily here. Watch a video of the Mass here.